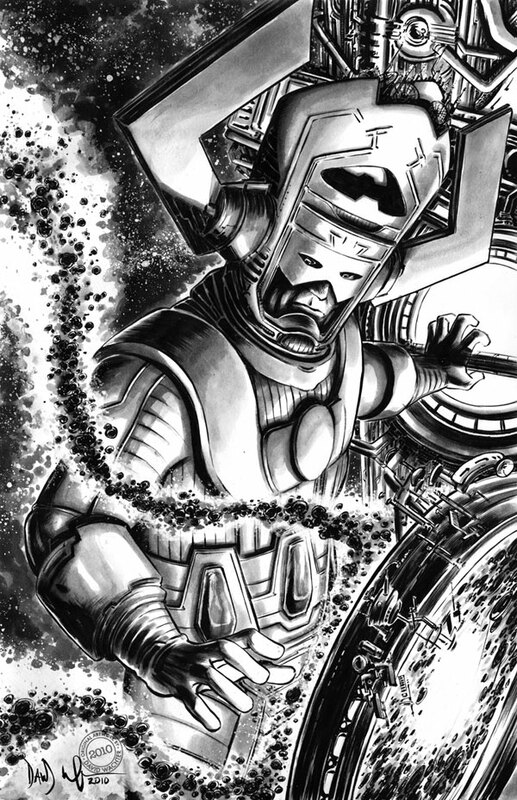 Posted February 21, 2012 in Dave Watcher, Galactus. The Devourer of Worlds courtesy of Pittsburgh based artist, Dave Wachter. Dave is the artist, co-creator and co-writer of the Eisner nominated webcomic, The Guns of Shadow Valley. His artwork ha appeared in various antholgies as well as Tell Them Johnny Wadd is Here for Terminal press and Robert Bloch’s That Hellbound Train for IDW. You can find more of Dave’s work at his blog – here.